The role of chemists in war is not a new thing. The role of chemists in chemical warfare is of more recent origin. Just over a century ago, modern chemical warfare, as it began in my country, Belgium, on 22 April 1915, may seem like it came out of the blue. Actually, it resulted from the confluence of several trends in Europe and North America. Those trends emerged in the late 18th century. They included the establishment of chemistry as a science and the onset of the first industrial revolution. Those trends gathered pace throughout the 19th century. Chemistry discovered many new molecules. Organic chemistry—one of the early convergences of chemistry and biology (another one of the new scientific disciplines)—yielded compounds that later often acquired widespread use as intermediaries in industrial production. Many decades after their initial discovery, several also became warfare agents during the 1st World War. In the first half of the 19th century, chemists also synthesised the first organophosphorus structures, which laid the foundation for the development of the nerve agents from the mid-1930s onwards. After 1850, industrialisation increasingly shaped the organisation of science; it gave direction to the scientific endeavour; and it helped to restructure the scientific curricula at universities and other institutions of education. The idea of science for science’s sake gave way to a much more utilitarian vision in service of society. Stagnation on the Western front in the autumn of 1914 would prove to be the catalyst for modern chemical warfare. Belligerents drew on national industrial and scientific prowess to try and force the decisive breakthrough on the battlefield to end the carnage. Toxic chemicals used to deliberately harm humans were one choice. Alas. I am not saying that in the 19th and early 20th century chemists set out to design and develop chemical weapons (CW). All I know is that in each of the belligerent countries, these chemists were fully aware of the social and technological dynamics that were transforming their respective societies; often they were the drivers of these changes. Today, our societies are once again undergoing major transformations. Chemistry is changing fast; the interactions with other disciplines are widening as well as deepening. Chemical industry has spread across the planet; so many people all over the world are seeking careers in fields that have more than a tangible impact on the CWC. These areas are also critical to development; they are key to ameliorating the conditions of peoples everywhere and meeting future challenges to individual and human survival. 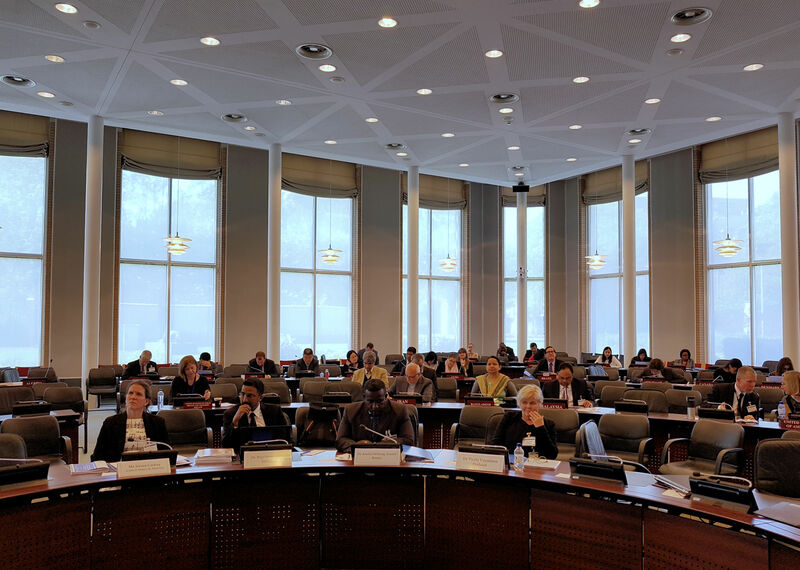 The OPCW’s Advisory Board on Education and Outreach (ABEO) is keenly aware of current transformations that might once again contribute to CW development and acquisition. Its members are also keenly aware that we are facing new situations in which toxic chemicals can be and are being used. 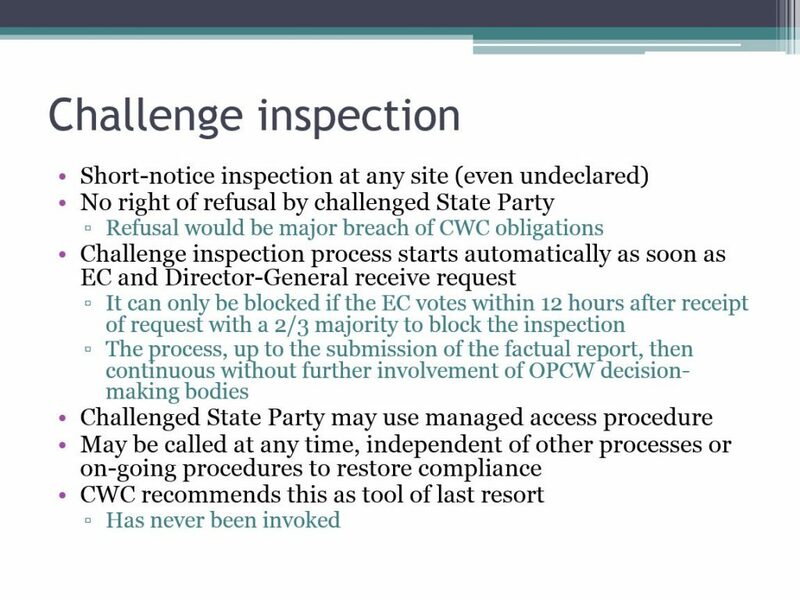 A big challenge to the CWC is that our conception of CW is changing fast. 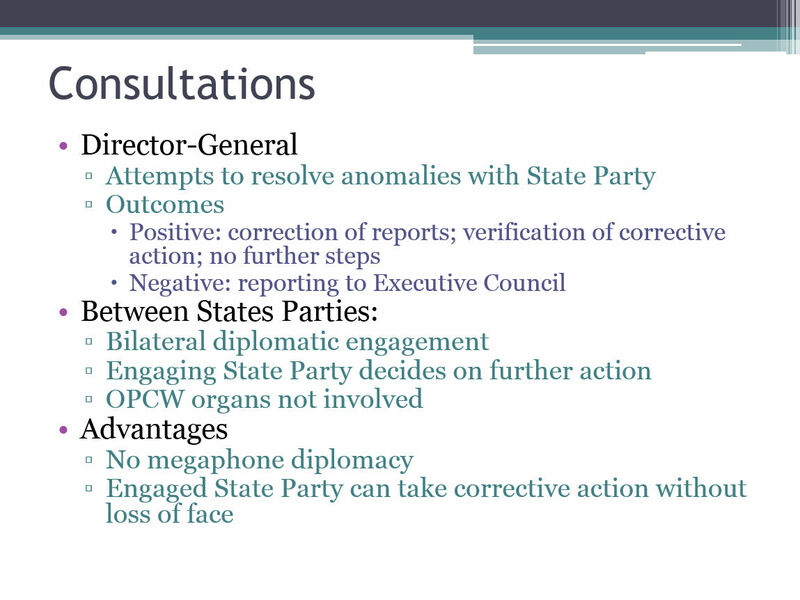 Indeed, opportunistic use of industrial toxicants (such as chlorine) on the battlefields, terrorism and non-state actor use of toxic agents, and now more recently, assassinations with substances that had initially been developed or produced for military arsenals, are situations the CWC negotiators could not—and did not–anticipate. In February of this year, the ABEO produced a report on the role of education and outreach in preventing the re-emergence of CW. 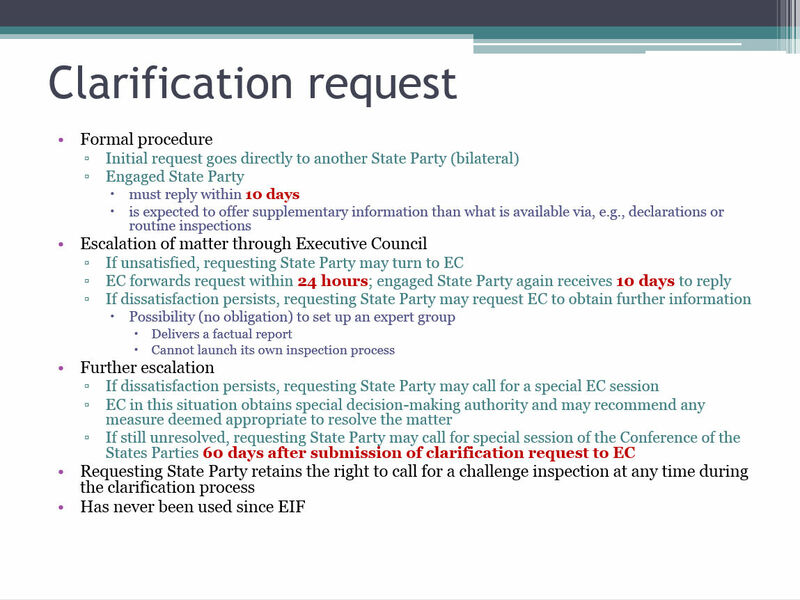 It contains many recommendations for the Technical Secretariat to enhance the impact of its activities with States Parties in terms of education and outreach. The report also addresses how chemists everywhere can expand their consciousness about the dual-use characteristics of much of their work. It also seeks to enhance their awareness of the international and domestic scientific and technological environment in which they are functioning. It helps them to anticipate possible outcomes of their work many years into the future. In other words, ‘Prevention of the re-emergence of chemical weapons’ appeals to the responsibility of stakeholder communities and individuals, including chemists, to uphold the norm in the CWC. Members of the ABEO have been involved in the development of the Hague Ethical Guidelines to promote responsible practice of chemistry. They are also active in promoting the Ethical Guidelines, including through active learning processes that involve chemists, which are advanced in the ABEO report. Some members have been instrumental in mobilising chemical societies and chemical industry councils to formally condemn the use of chlorine as a weapon. Some among them have also participated in the development of the on-line educational tool ‘Multiple Uses of Chemicals’ to promote the beneficial uses and prevent abuses of multiple-use chemicals, which the Technical Secretariat now supports by offering translation into the six official languages. Reaching out to today’s chemist and the next generation of chemists (who are now in secondary school) is a task that National Authorities can help to promote, in addition to the ongoing initiatives undertaken by the Technical Secretariat. At this point, I wish to stress that while the ABEO report suggests educational strategies, it does not offer one-size-fits-all suggestions. There is great need to adapt educational strategies to specific regional and national characteristics. Awareness of the challenges—those visible today, as well as those looming on the horizon—is a task of permanent education. The ABEO report contains many practical examples of how such permanent education can be organised and practically implemented. It is of benefit to development for peaceful purposes and international collaboration in the scientific field of chemistry worldwide. States Parties are welcome to approach the ABEO and its members—via the Office of Strategy and Policy of the Technical Secretariat—for assistance and concrete advice on education and outreach to key stakeholder groups. The TAV noted the high purity of the agent because of the almost complete absence of impurities. Based on the results of the examination, the traces of the toxic chemical BZ and its precursors belonging to the chemical weapons of the second category in accordance with the Convention on the Prohibition of Chemical Weapons are found in the samples. BZ is a nerve agent temporarily disabling a person, psycho-toxic effect is achieved in 30-60 minutes and lasts up to four days. This recipe was in the arsenal of the US Army, Great Britain and other NATO countries, there were no developments or accumulations of these chemical compounds in the Soviet Union and Russia. The statement as such contains two errors.